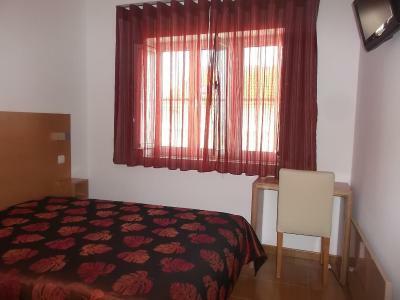 Lock in a great price for Na Crista da Onda – rated 8.2 by recent guests! 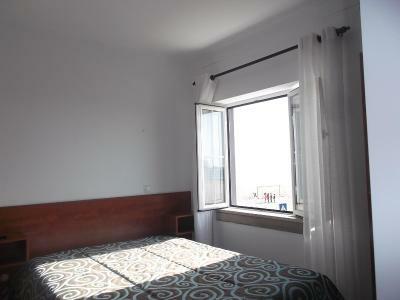 Clean, room with private bathroom, full sea view with front and side balcony. 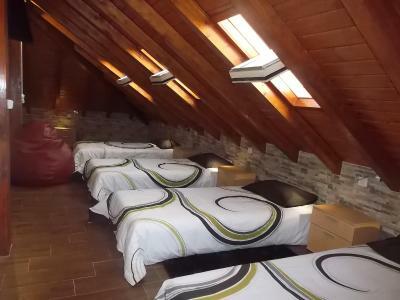 Well worth £124 for a couple for 4 nights. Central location. Great location. 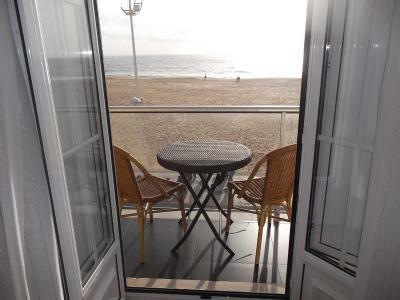 Balcony looking out into the beach. Great for sunsets. Only stayed one night but would have stayed longer. 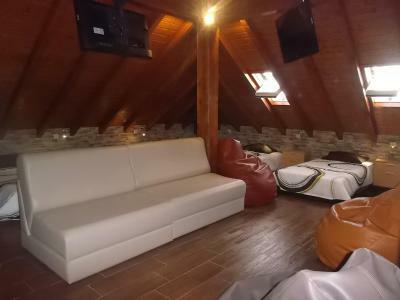 I like the location and the view, I expected a bigger room but everything was great, no complaints. 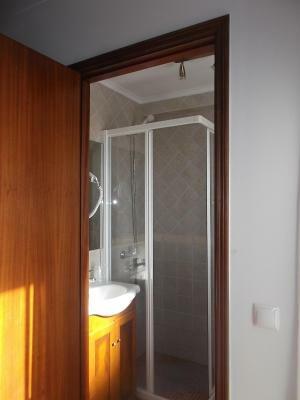 Good shower, Good breakfast for 5 extra euros. 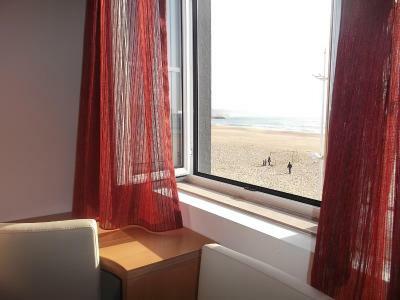 Great location, good balcony with beach view, just a fantastic view! Warning...it can be noisy in high season, but otherwise is a great location with all you need close by. Everything was awesome! Location is AMAZING, exactly on the coast. Staff is very friendly! 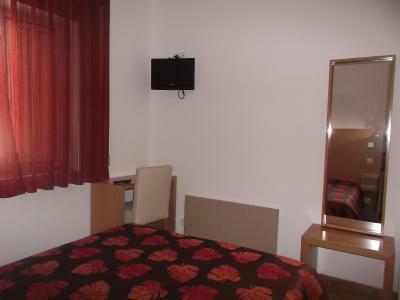 It was very clean and room was very nice! The view from the view... Mmmm!.. AWESOME! 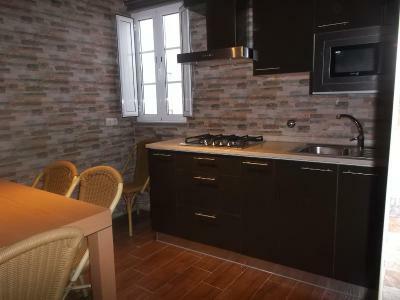 Very cosy and fully equipped kitchen. Thank you! Great location. 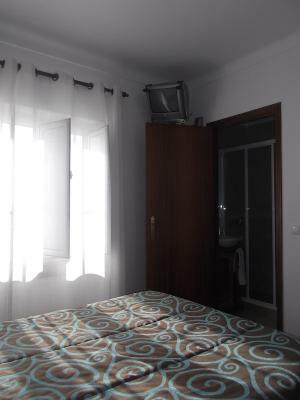 Ask up front if you get the room with a balcony. 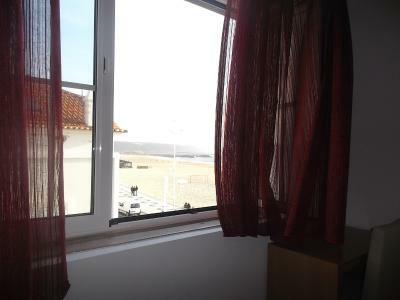 I had a great experience at Na crista da Onda, im definitely coming back. 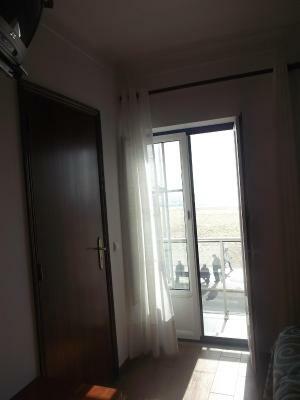 I recommend the accommodation, very clean, spacious place to stay just in front of the beach. Great breakfast too. 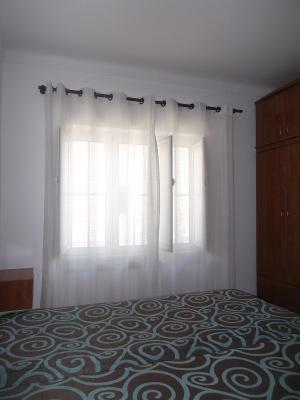 One of our best sellers in Nazaré! 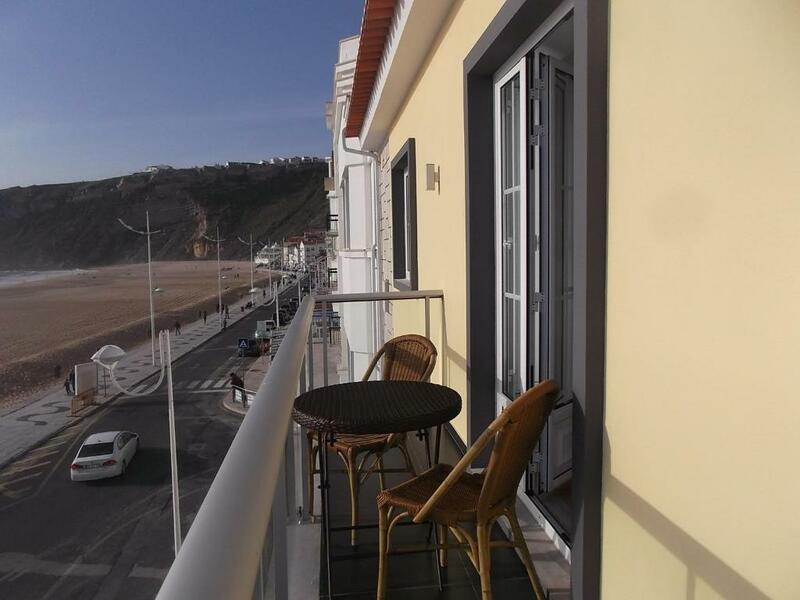 Located right across from the Nazaré Beach, Na Crista da Onda offers comfortable and simply decorated accommodations. 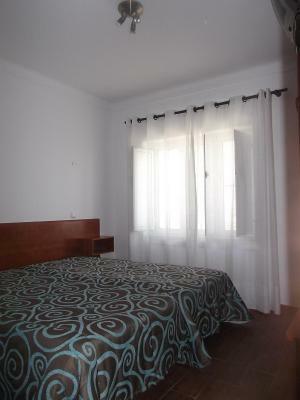 The guest house is just a 3-minute walk from the historical Nazaré city center. 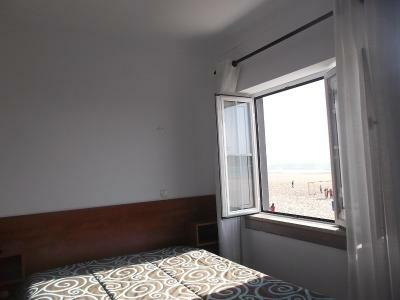 The Crista da Onda offers bright heated rooms with a private bathroom, some also including a sea view. 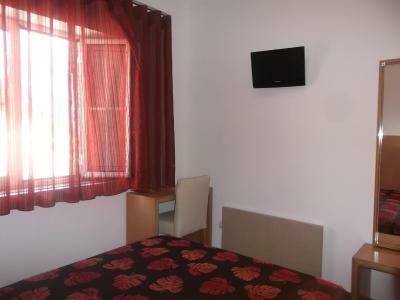 The studio features a private bathroom, cable TV, laptop computer, equipped kitchenette and mini-bar. All accommodations has free WiFi access. 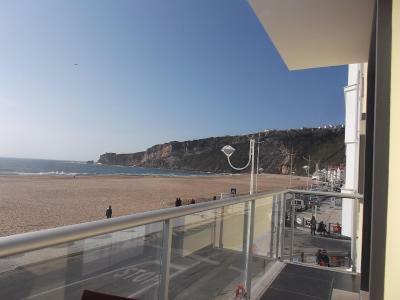 At the Adega Oceano restaurant, just 50 feet away, guests of the Na Crista da Onda enjoy a 10% discount on all meals. 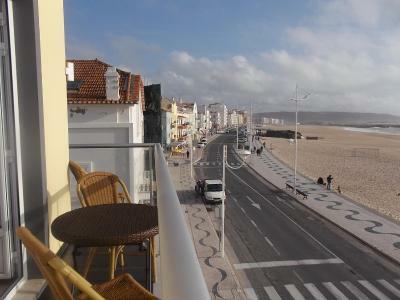 The Nazaré city center also has plenty of restaurant options serving the region’s characteristic fish and seafood-based dishes. The nearby beach offers many outdoor and beach-related activities, such as surf or bodyboard lessons, jet skiing, fishing and horse . 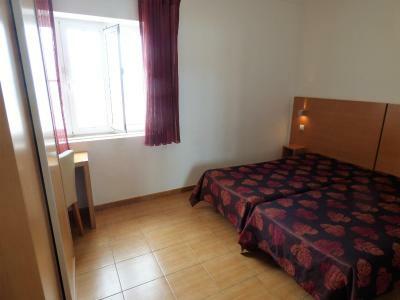 Located a 5-minute walk from the bus station, the guest house is less than 10 minutes ‘walk from the Marina. 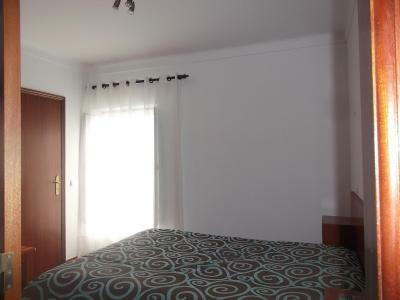 It is a 29-minute drive to Leiria and a 77-minute drive to the Lisbon International Airport. 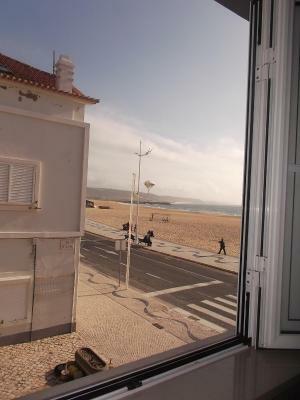 뀐 Located in the top-rated area in Nazaré, this property has an excellent location score of 9.3! 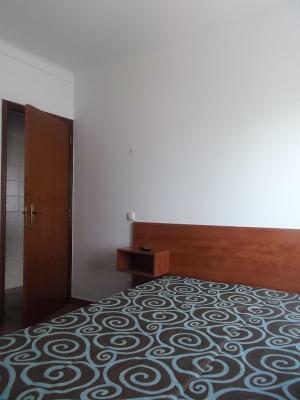 When would you like to stay at Na Crista da Onda? 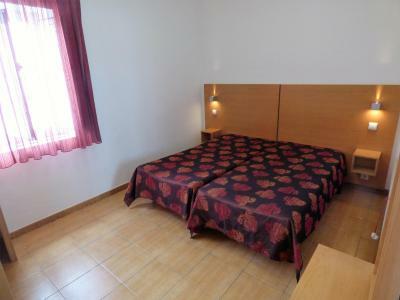 These rooms are equipped with free WiFi, heating, cable TV and private bathroom. 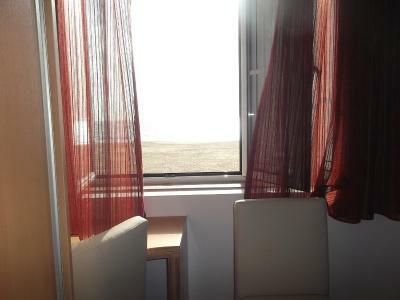 Featuring a sea view, this room is equipped with free WiFi, heating, cable TV and private bathroom. 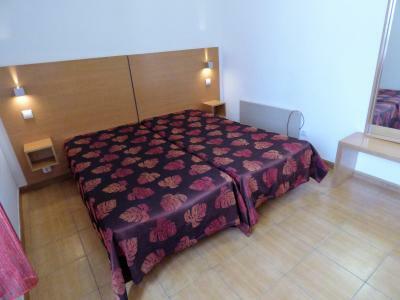 Spacious studio with a well-equipped kitchen, 2 bathrooms and 2 large flat-screen cable TVs. 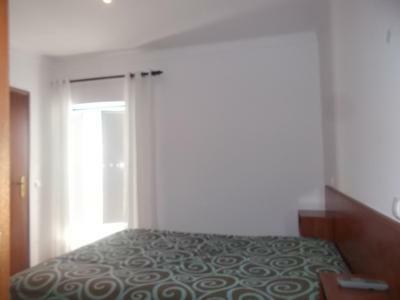 Featuring a balcony facing the beach, this room is equipped with free WiFi, heating, cable TV and private bathroom. 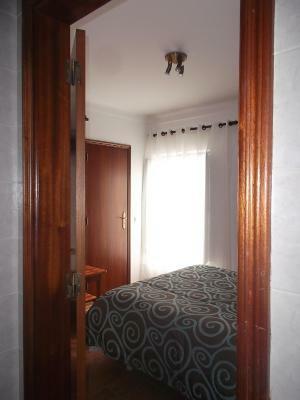 This room is equipped with free WiFi, heating, cable TV and private bathroom. 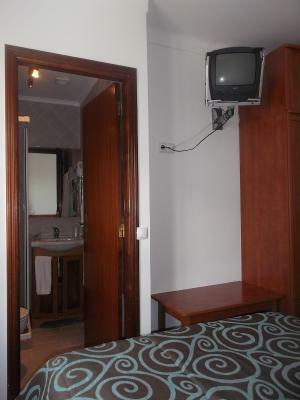 The rooms are equipped with free WiFi, heating, cable TV and a private bathroom. House Rules Na Crista da Onda takes special requests – add in the next step! Na Crista da Onda accepts these cards and reserves the right to temporarily hold an amount prior to arrival. 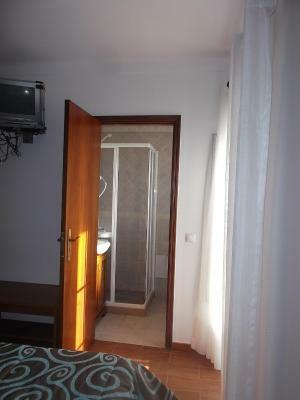 Please note that Crista da Onda has no front desk. 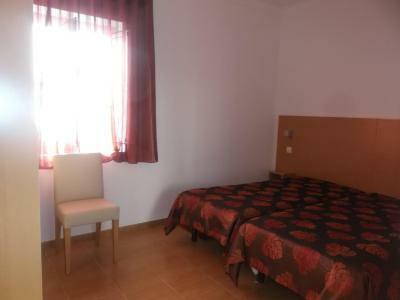 The check in must be made at the Adega Oceano, where the key will be given. 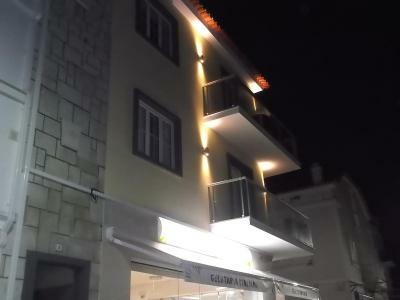 The Adega is sited in Avenida da Republica nº 51, just 100 feet from Crista da Onda. 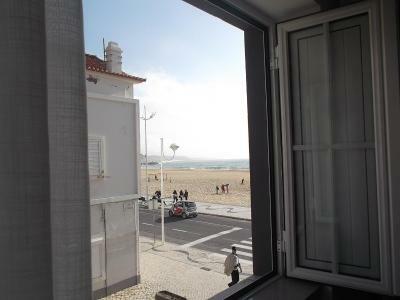 Please note that check-in and key collection take place at: Hotel Oceano, Nazare 2450-101. Everything was awesome! Nothing to write here! I needed to change the room because the first one was stinking mold. 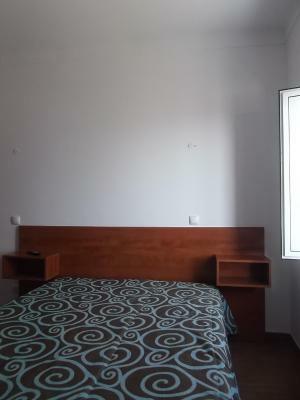 So, I need to pay more €14 because I got a better room. For the price that we paid (€100), this was way overpriced. 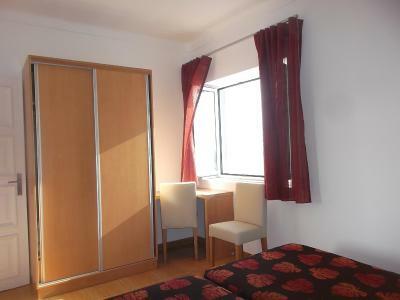 For starters, it is not a Hotel, but apartments run by a hotel. Meaning there is no reception at this property and the main door of the common area was always open, with no security at all. Anyone could just walk in. There are no phones to the main hotel in the room so if you need anything you need to go to the hotel. It is not far however it is inconvenient, and having paid that kind of money I would hope for a bit more comfort. 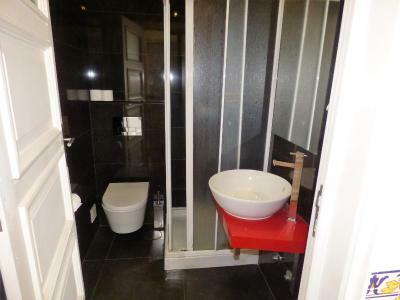 The room was very very small, barely any place to move and the bathroom also tiny. After we had our showers, which were not long showers (5 minutes! 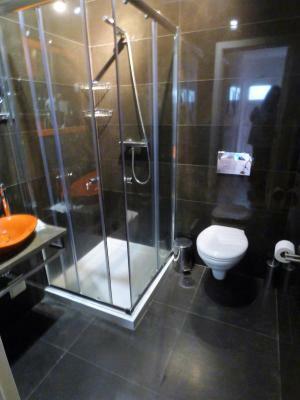 ), the bathroom floor was FULL of water. The carpet was soaking wet and we had to put two of our towels on the floor as well to soak up the water. 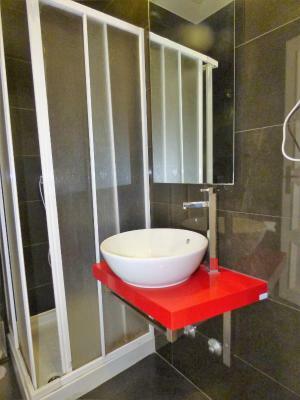 Very limited toiletries, just shower gel. Outside our room was a running generator which was very noisy. Had I paid less I would not have minded most of them, but definitely not value for money. Location and the room was warm. Location is excellent. Beautiful view. Sound insulation is practically not existing, you can hear everything in the staircase. Someone started to pull tables or chairs at 7.15 AM right above our heads (or at least we heard so). 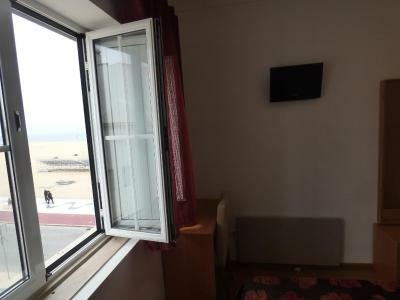 Great location, sea view, balcony.